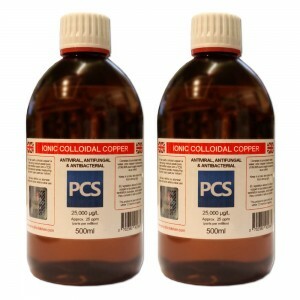 2 x 500ml bottles (1L total) of premium quality colloidal copper made to approx. 25ppm (parts per million). At 25ppm, our products contain a higher concentration of copper ions and nanoparticles than the majority of other suppliers. Very effective at eliminating viruses, germs and pathogens. 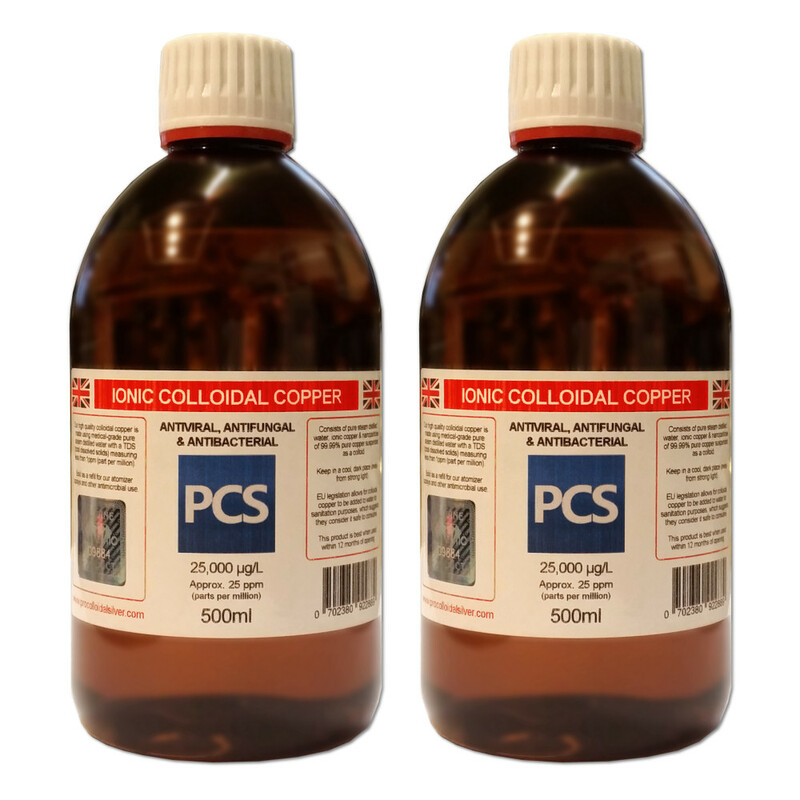 At Pro Colloidal Silver, we produce our colloidal copper to the highest standards. Our products contain nothing more than 100% pure steam-distilled water (which we steam distill ourselves to ensure a 0ppm base using our own purpose made stainless steel distillers) and 99.99% copper.